This folding padded kneeler from Robert Smith® is durable and easy to care for, and complements any church decor. 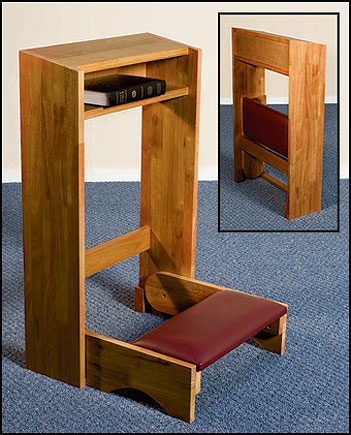 Features flame-resistant padding and a shelf for Bible storage. Some assembly required. Accessories not included. Also available in Walnut Stain (#MD013).